Silahkan klik tulisan atau gambar untuk lanjut membaca Ray Kurzweil, Google's Director Of Engineering, Wants To Bring The Dead Back To Life. Inventor Ray Kurzweil hopes to develop ways for humans to live forever, and while he’s at it, bring back his dead father. Behind him is the support of a tech giant. This month, Kurzweil, a futurist, stepped into the role of Director of Engineering at Google, focusing on machine learning and language processing. "There is a lot of suffering in the world," Kurzweil once said, according to Bloomberg. "Some of it can be overcome if we have the right solutions." Since his father's death in 1970, Kurzweil has stored his keepsakes in hopes the data will one day be fed into a computer capable of creating a virtual version of him, Bloomberg reported. Interestingly, one of his novels lays out how humans might "transcend biology." According to TechCrunch, his controversial theories are rooted in the idea of technological singularity, a time when humans and machines sync up to the point of nearly limitless advancement. 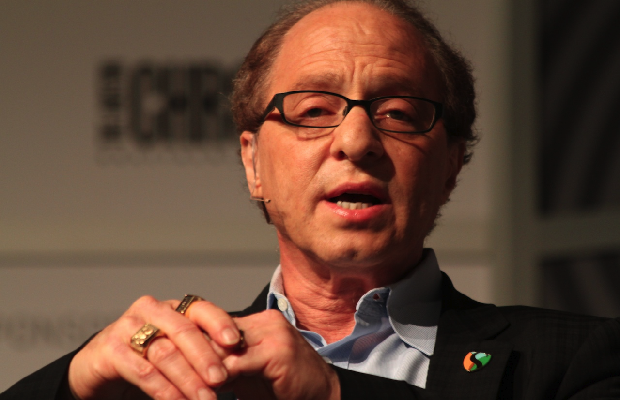 That idea, which interests Google co-founders Larry Page and Sergey Brin, could happen as soon as 2030, Kurzweil says. "We are a human machine civilization and we create these tools to make ourselves smarter," Kurzweil told Scientific American. In his latest book, "How To Create A Mind: The Secret of Human Thought Revealed," he writes about wanting to engineer a computerized replica of the human brain. If we understand the brain well enough, he says, we would be better equipped to fix its problems, like mental and neurological illnesses. He imagines a search engine capable of accessing a database of your thoughts, stored in the Cloud. It would anticipate what people are seeking before they even know. Much of this may sound nearly impossible, but Kurzweil has been spot-on about technological forecasts in the past. "In 1999, I said that in about a decade we would see technologies such as self-driving cars and mobile phones that could answer your questions, and people criticized these predictions as unrealistic," he said in a statement announcing his position at Google. "Fast forward a decade –- Google has demonstrated self-driving cars, and people are indeed asking questions of their Android phones." Digital Trends places Kurzweil among the most-celebrated and recognized innovators of the last four decades. In 1976, several of his innovations converged into the first device that could read printed text out loud for the blind. He was 27 years old at the time. Now, the next generation of inventors will learn from him. Google recently allotted more than $250,000 toward his graduate school, Singularity University, according to Bloomberg. After 10 weeks of a curriculum focusing on biotech, robots, and artificial intelligence, students -- forgoing a traditional degree -- create their own startups. "I'm thrilled to be teaming up with Google to work on some of the hardest problems in computer science so we can turn the next decade's 'unrealistic' visions into reality," Kurzweil said in the statement.